Construction is officially underway on a multi-million dollar facelift for Dapto Mall that aims to bring 'the outdoors indoors'. The $3.5 million refurbishment focuses around a new look food court and children’s playground - with the décor designed to reflect the local escarpment. 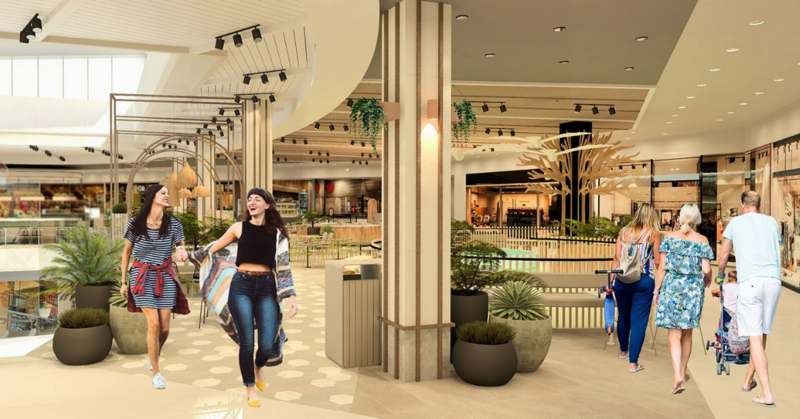 Due for completion mid-2019, the reinvigorated upper level of Dapto Mall will deliver a comfortable and contemporary space with new intimate seating. The upgrade construction will occur in two stages – the first section in the south-east of the Food Court kicked off on March 18 and will run until approximately May 9th. The second section in the west of the Food Court will start from May and should be completed by June. Construction is planned to take place outside of opening hours – so retailers on the upper level will remain open as per usual.